Kanye Wests' G.O.O.D. Music label has been steadily gaining momentum over the past few years. Astute signings such as Kid Cudi, Big Sean and Pusha T, as well as forging close relationships with artists as diverse as Common and 2 Chainz has seen the Def Jam subsidiary appeal to a broad audience, chiefly through the 'G.O.O.D. Friday' scheme, a constant flow of new music that has effectively maintained the attention of fans. 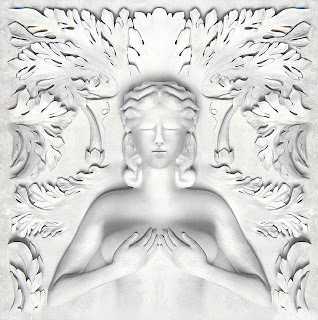 Though originally scheduled for a Spring 2012 release, West has just about managed to prevent his album title becoming redundant by releasing Cruel Summer just before the official close of the season. Album opener 'To The World' is a bombastic, auto-tuned tour de force, R Kelly dominating the song as he screeches through a fantastically overwrought chorus, Kanye hardly needed as he offers a token verse towards the conclusion of the track. The collection kicks into gear properly on 'Clique', Jay Z dropping by to assist his protege with mature, sophisticated rhymes. Kanye strikes the characteristically confident pose that will carry him throughout the rest of the album, boldly proclaiming divine help for the second time in only two songs. The only negative is in the weak Big Sean-provided hook, his voice failing to command the beat in the same way as his two more experienced collaborators. Perhaps unwisely, the same artist is immediately back in the fray, given the task of kicking off lead single 'Mercy'. Kanye is on top production form, the unsettling, ice cool beat overwhelming Sean as he spits some poorly thought out, corny punchlines. The track is saved by some intense work from Pusha T and finished off expertly by the charismatic 2 Chainz. The two rappers have received a similar career boost in aligning themselves with G.O.O.D. and both are utilised well in posse cut 'The Morning'. Enlisting Raekwon proves to be a masterstroke, his cinematic montage complemented with shorter, sharp vignettes from the other features, Cyhi The Prynce attempting to rectify his status as the forgotten man of the label with an entertaining appearance. "Want to talk about clothes I motherfuckin' embarrass you/ Want to talk about hoes I motherfuckin' embarrass you..." along with suggesting he will get "Jay to drop him from the team" (unlikely as Jay Z owns less than 1% of New York Nets). Catchy, offensive and braggadocios, the track encapsulates the best and worse of Kanye West. The listener can either accept it or deride the flamboyant eccentricities of a flawed genius. "Everything around me got me underwhelmed/ Best way to describe my position is at the helm/ Best way to describe my new whip... NYAOOOOOW"
Kid Cudi is mystifyingly absent for much of the album, a tiny appearance on 'The Morning' and a whirling, dervish-like appearance on the 'Mercy' video being his only contributions to the project until the tenth track. His solo spot on 'Creepers', however, is worth waiting for. Evidently still in Wzrd mode, Cudi infuses catchy production with his trademark lonely, spaced out yearnings. John Legend and new signee Teyana Taylor collaborate less successfully on 'Bliss', the track seeming better suited to another collection. 'I Don't Like (Remix)' also seems out of place, a strange decision to use another's work for a figurehead usually noted for his individuality. Kanye West has thrown the gaudy excesses of hip hop into sharp relief, embodying the urgent, captivating style that is missing from much of mainstream chart rap music. Much critical response to Cruel Summer will focus on personal opinion of the figure of West, but this would be to miss the point of the LP. 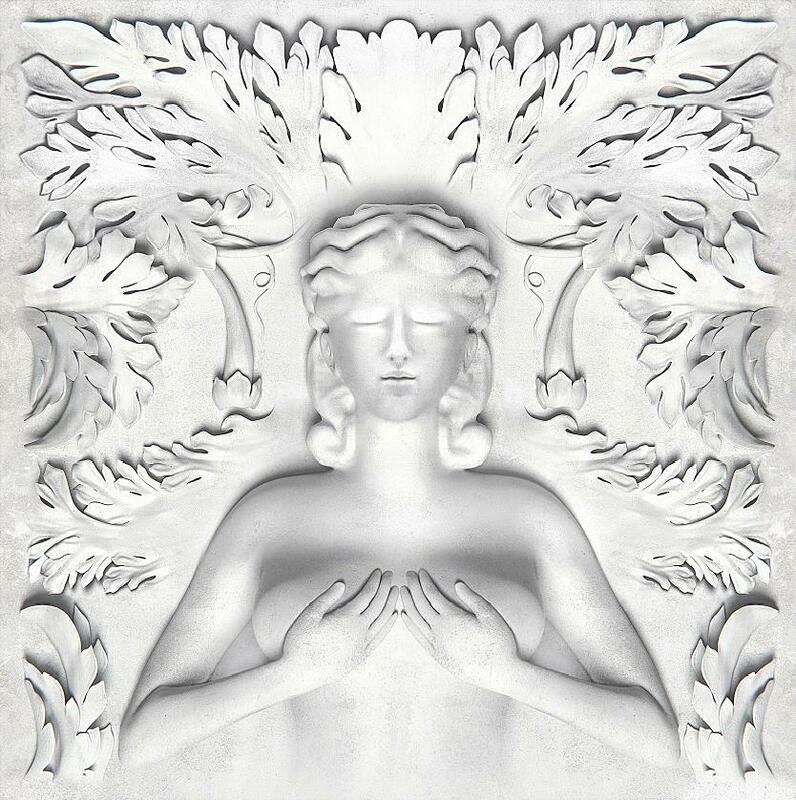 At different times raucous, boastful, sophisticated and sultry, Cruel Summer ranks as one of the year's best albums.